You don’t have to be in the TdF to feel part of something special. And you can take a ‘win’ from many angles – be it a never-before-completed-distance or a PB at a previous distance. No matter what it is, and whether you compete as part of a team, or race solo but with your team emblazoned on your kit, to feel as if you ‘belong’ to something really is special. We believe The BlackFish are special. 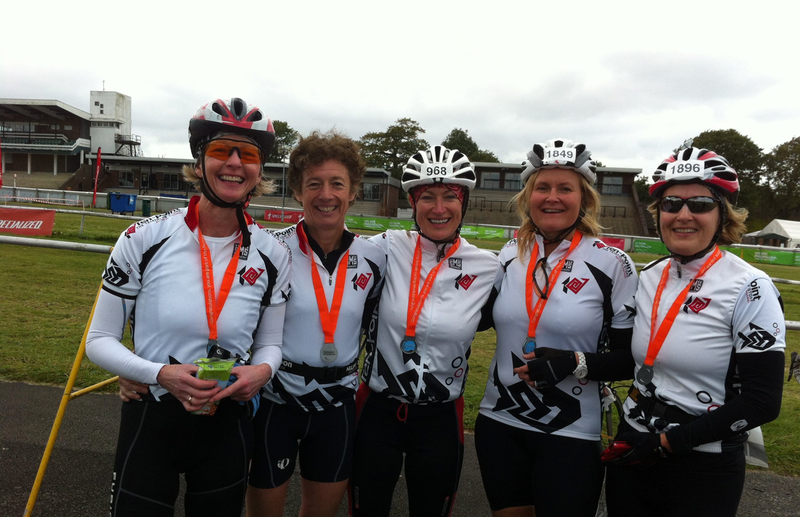 These 4 girls pulled me round that Cycletta course, when I was the weak link. I hung onto Christine’s wheel as we stayed in our train of 4, with Sandra and Alli alternating taking the lead (and the wind!). With Caroline’s Overall Win + our Team Time, we placed 1st Team. I’ve never won a race in my life – and as a soloist, I’m unlikely to. On my own, I simply don’t ‘bother’ enough! But in that team, there was BlackFish Team Pride at stake. My performance mattered to me more – as a fifth of that team – than it ever has done when I’m on my own. I just didn’t want to let the side down.